Challenge: To develop Isobar® heat pipe assemblies for insertion into large format molds for composite processing to improve the part curing process (in-autoclave). 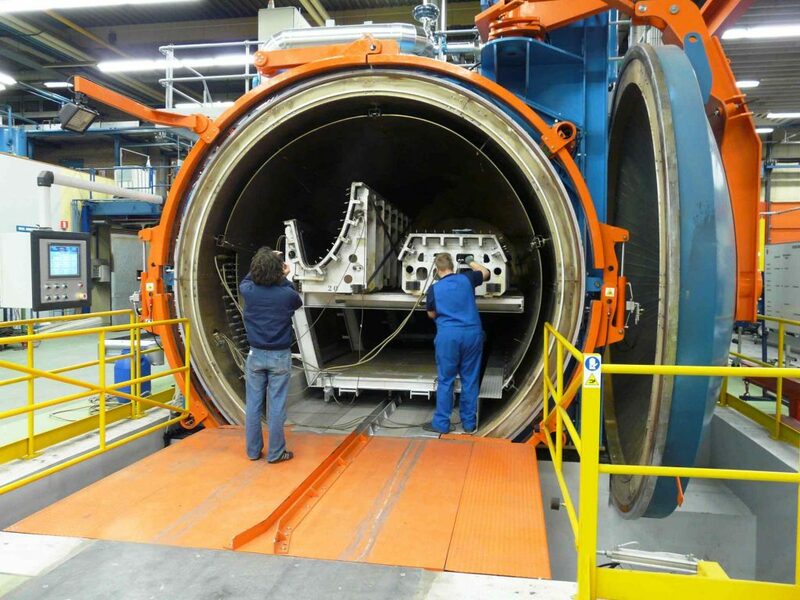 The use of Isobar heat pipes in the production of large composite parts (In-Autoclave) demonstrated a significant improvement in the manufacturing process by reducing cycle time by up to 50% while also increasing product quality. The entire process was monitored throughout and a quantitative assessment determined that improvements, specifically related to product quality and cycle time, were remarkable and repeatable. Contact Acrolab’s engineering team to discuss how we can improve your processing challenges. Challenge: To develop a multi-zone split heater (3 zones) capable of operating at a temperature of 700°C. This style of heater was not available from any of the existing heater manufacturers. 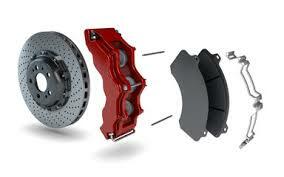 Application: Composite Tooling-Custom Heater Development and Design for Automotive Parts Manufacturing. Acrolab’s engineering team anticipated that the maximum operating temperature required for the heater would be a limitation with this new design. The heaters were tested and we confirmed that the multi-zone design was effective with respect to wattage distribution, however operating temperature was limited. Challenge: To analyze the performance of the cooling chamber for one of our customer’s pre-preg manufacturing machines and to provide recommendation on how to improve it. 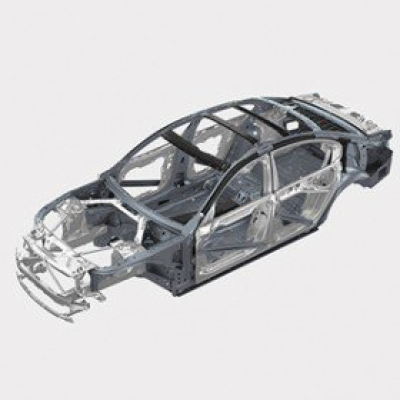 Application: Carbon Fiber Pre-Preg Manufacturing. Acrolab analyzed the performance of the cooling chamber for pre-preg manufacturing and provided modification measures to improve it. A detailed report summarizing the findings and recommended modification measures to the machine build was proposed and sent to the client. This solution solved their cooling problem on the new pre-preg machine. Challenge: To develop an industrial part washer system, with an engineered solution focused on the cooling tunnel design that would ensure that the automotive engine parts were sufficiently cooled in the process. 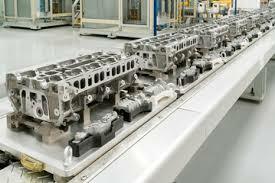 Application: Automotive Metal Engine Part Production. The objective of this case would be to develop an engineered solution for the cooling chamber as part of a complete industrial part washer system. Acrolab engaged one of our technology partners to assist with the project and we completed a detailed heat transfer analysis on the cooling system. 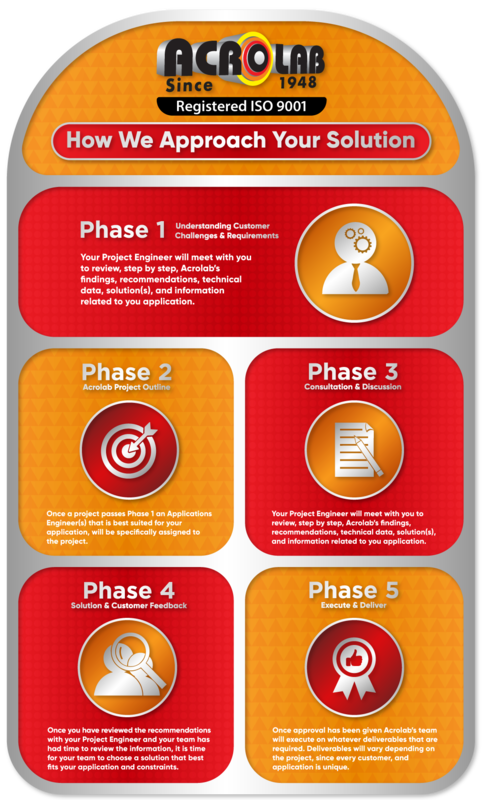 Challenge: To develop a rapid heating/cooling mold platform for out-of-autoclave composite curing. Acrolab engineers designed and built a mold base with uniform temperature distribution that met the specifications of the customer for rapid heating/cooling for out-of-autoclave composite part production. Acrolab provided a detailed report to the client outlining the performance parameters of the vapor chamber composite mold and operating instructions for the mold. Challenge: To develop isothermal rotary molds to reduce production cycle time, reduce mold weight and reduce energy consumption. By developing a system that provides uniform heating and cooling to the mold, several production processes could be improved such as reduction in cycle time, increased productivity and a reduction in energy consumption. One of the results during the analysis by the client was the correlation in their data where they were able to develop a scalable model for the rotary mold design utilizing this new concept design. Challenge: Acrolab was asked to design and build a new heater to overcome the thermal problems associated with the client’s production equipment and recommend other changes to make the process more efficient. 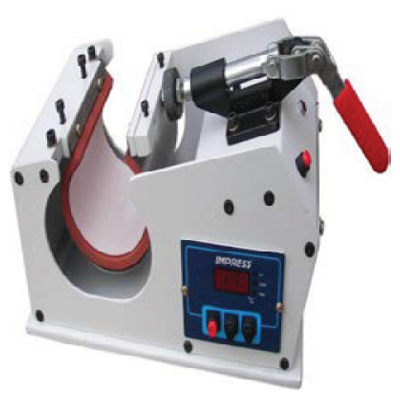 Application: Packaging & Sealing System. Acrolab provided design recommendations including assistance to the client in understanding how the heater design could be optimized to suit their application. Based on the data collected our heater design proved to be both very effective and efficient in the application. 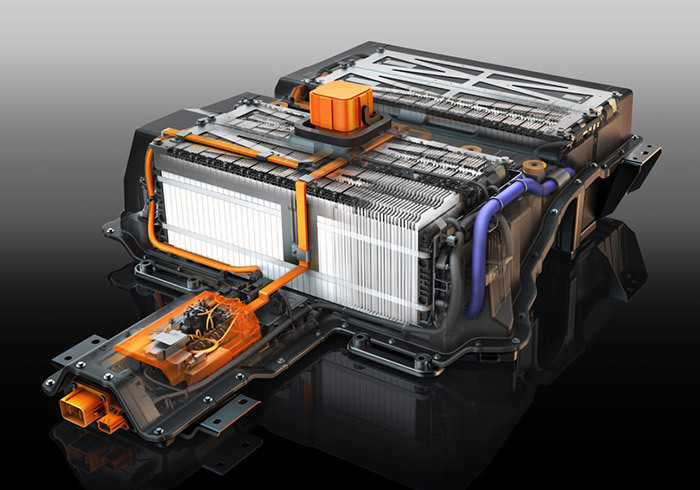 Challenge: To develop a new thermal management concept to improve the efficiency and reliability of the battery electric (BE) thermal management system used in Battery Electric Vehicles (BEV). 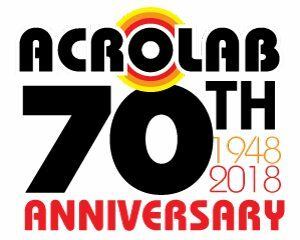 Acrolab’s initial concept would be a two-phase flow BE thermal management system, providing a higher heat transfer coefficient inside the cold plate and a more compact design. Three concepts were investigated in this case; a simplified Isobar® heat pipe (HP) concept, a capillary pumped loop (CPL) heat pipe concept, and a mechanical pump assisted two-phase loop (2MPDL) concept. Challenge: To develop a pizza oven waste energy recovery (POWER) system that would capture waste heat (thermal energy) and convert it to electricity for in-store operations. 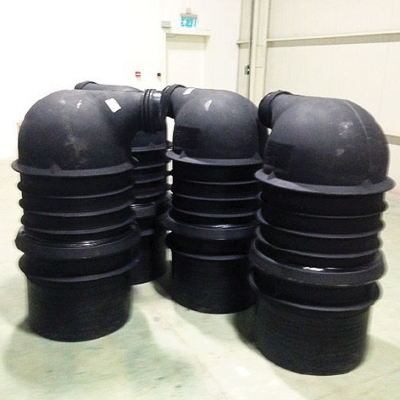 An important element in one of the components of this waste heat recovery system was Isobar® heat pipes. The waste heat energy would be captured by the heat pipe and transferred to the thermoelectric generator (TEG) to convert it to electricity. This could then be used in-store to meet lighting, point-of-sale terminals and hot water and heating needs. Challenge: To implement Isobar® heat pipes into a rotational molding application to advance the heating process and improve part quality. To make the process more efficient, the customer requested that we design and implement Isobar heat pipes to absorb the heat energy and effectively transfer it over the tool surface. Challenge: To manufacture a custom Isobar® heat pipe according to the client’s specification, this heat pipe had to meet certain geometric constraints, specific to shape and overall dimensions. Acrolab needed to fabricate these heat pipes according to the customer’s requirements. More specifically, these heat pipes were required to be bent and flattened. 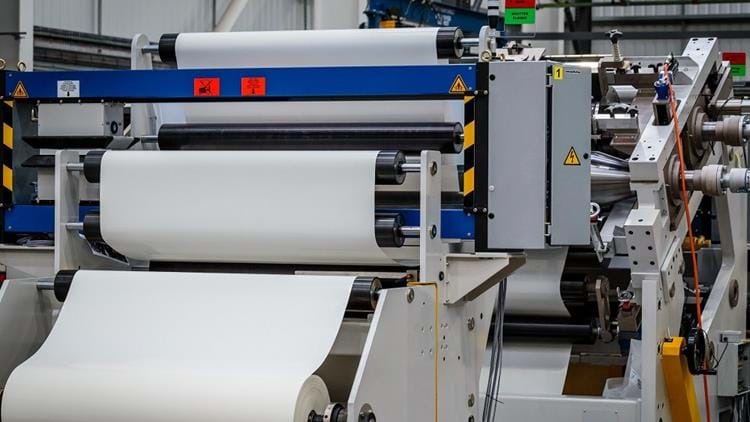 Challenge: To assist our client with the development of an automated, rapid cure process for producing a Carbon Fiber Reinforced Plastic (CFRP) part. 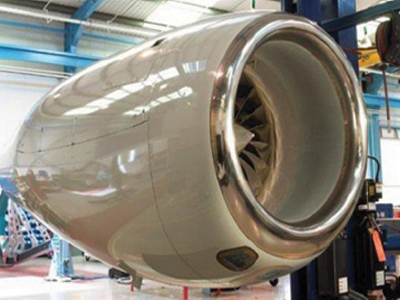 The new production process using Acrolab Isomandrel technology would cure the composite faster resulting in a more efficient and cost effective production cycle.